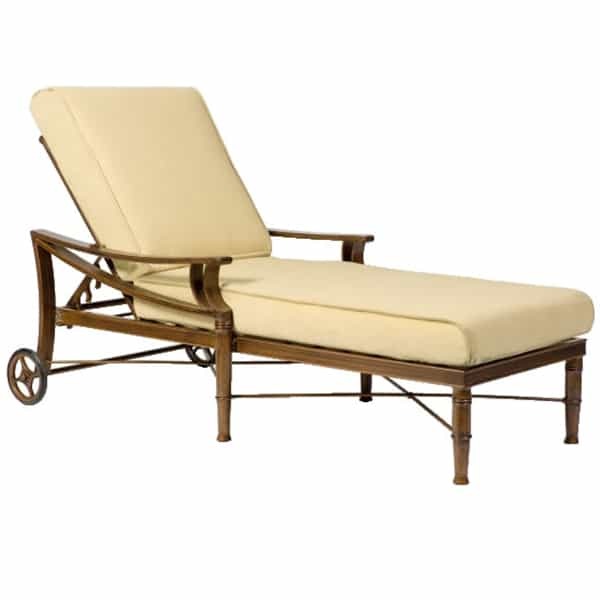 With a lovely design that offers the appeal of organic wood, yet is actually modern powder-coated aluminum, the Arkadia Adjustable Chaise Lounge from Woodard grants a pseudo-antique look out near the swimming pool or on the sun deck. Traditional design elements, such as the turnings in the legs and the curved arm supports, add to this authentic appearance. And while the design is traditional, the function is contemporary, made with all-weather materials and cushions that will resist moisture and regular wear and tear. 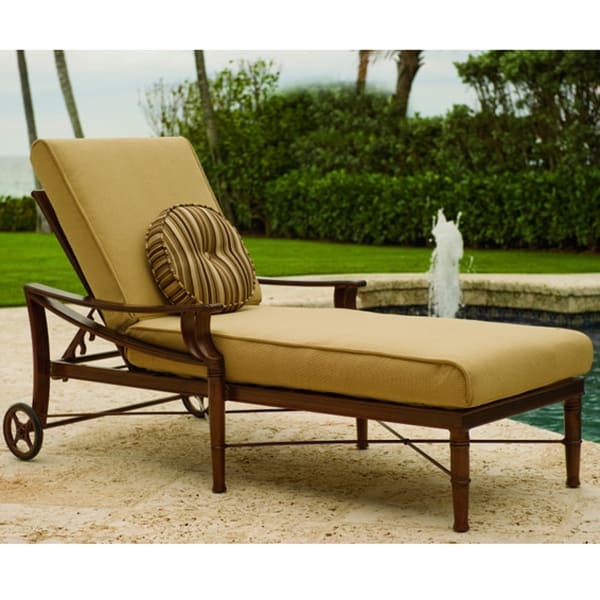 Lay back and relax to soak in the sun, or sit up and read a book while you sip ice tea; the multiple sitting positions of chaise lounges are perfect for any space, indoors or outdoors. 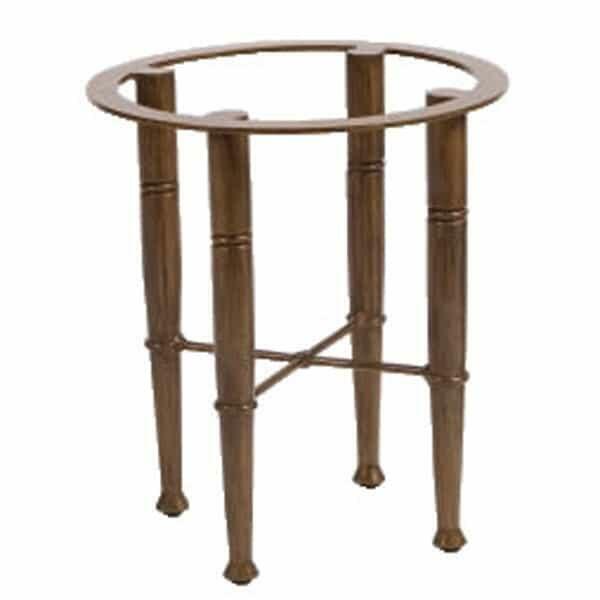 W 34.3" x D 81" x H 22.5" LBS 82 SEAT HEIGHT 13.5"
Fits Table Tops: 20" & 22"